I have won the lottery and I am getting poorer everyday! by Anti-Scammer | I Was Scammed! delivery by FedX telling the next instructions. The one name I have is John Kent and money by Western Union has been sent to possibly Virginia and Michigan. What can I do, can you help, police will do nothing. If the scammers are located in the US, we do not understand why the police cannot provide any assistance to such matter. 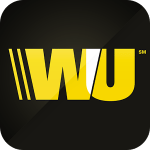 Since the money is sent via Western Union, let the police know so that they can contact Western Union to assist to provide further details. They might be able to track down the scammers when they collect the money.